Digital Label Technology attracting a lot of attention, and 2013 saw the launch of many new digital printing presses, with more coming at this years Label Expo Europe 2015. 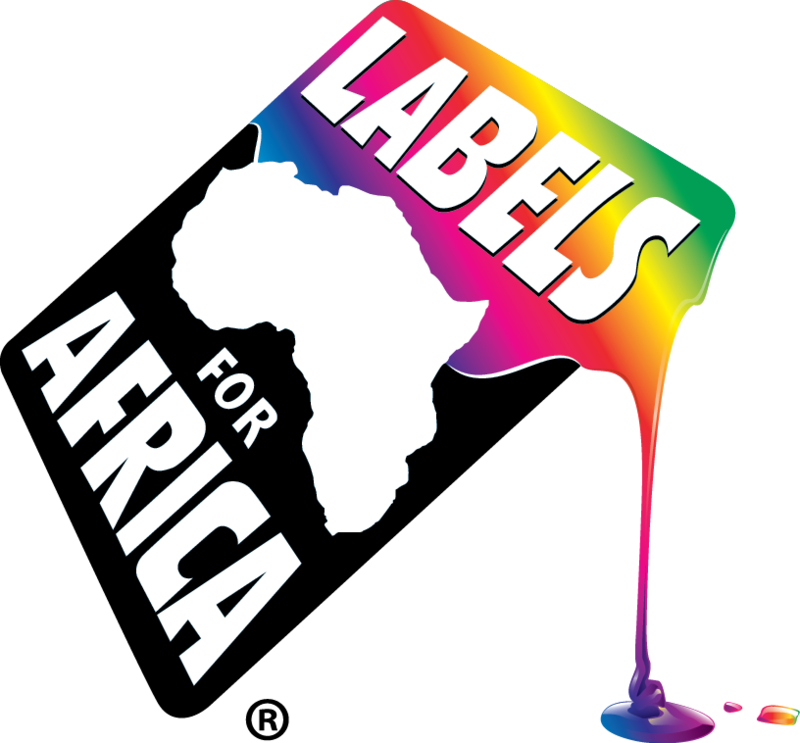 It may seem that with the advent of digital, specialised machine operators will become obsolete….click and print to produce high quality digitally printed labels, not quite so easy from our experience at Labels for Africa. Although this may be the case with small table top digital printers, producing excellent quality labels ,the high cost per label ratio can be a limiting factor but definitely an entry point for some companies looking to get into digital. From the commercial perspective, industrial sized presses are snapping at the heels of conventional print, enabling short run production and variable data printing with a growing market share as customers continue to Migrate to Digital. In electrophotography printing, the market is dominated by HP Indigo and Xeikon which each have a comprehensive portfolio. The technology uses a type of toner, either liquid or dry, which is fused onto the substrate by an electro-static charge. Xeikon’s press range is modular and existing presses can be upgraded at a later date. The 3000 series for packaging printing delivers 1,200 dpi imaging quality across the range and include the 3030, 3030plus, 3050, 3300 and 3500, divided into 330 mm and 516 mm widths and running at speeds up to 9.6 m/min, 15 m/min and 19.2 m/min. The company launched its new ICE toner last year which as the name suggests cures at much lower temperatures enabling heat-sensitive substrates, including some PE, to be used more widely and allow users to move into flexible packaging. HP Indigo installations prevail and its digital press series include the WS4600, WS6600, 5600, 7600, 20000 and 30000. The versatile WS6600 press prints labels and shrink sleeves, folding cartons and flexible packaging at speeds up to just under 40 m/min in Enhanced Productivity Mode (EPM) which eliminate black ink to print in just CMY for savings on ink costs and time. Both the new 20000 and 30000 presses also support EPM. The 20000 produces flexible packaging, labels and shrink sleeves in a width of up 76.2 cm in up to seven colors including opaque white, while the 30000 for folding cartons at up to 75 cm wide can print on a wide range of substrates, including off-the-shelf paperboard, metallised board and plastics. As the next big thing, inkjet presses are now seriously making their presence felt both in terms of speed and quality. Producing the highest quality opaque white, in a single pass, is the holy grail in packaging, and while in the past this was a challenge for inkjet, the machines introduced over the last couple of years, all present excellent whites. This non-contact printing method allows for a multitude of substrates to be used, usually without any pre-coating. Inkjet printhead technology continues to develop with Xaar or Kyocera heads installed in presses from Domino, Durst, EFI, FFEI, SPGPrints and Screen to name but a few. Epson has its own micro piezo heads and recently launched PrecisionCore, a small modular print chip which allows a significant increase in nozzle density. Konica Minolta has the high speed KM1024i printhead developed with Industrial Inkjet. Thermal inkjet printheads from memjet use so called waterfall technology, which produces some 700 million micro drops every second and can be found in Colordyne, Xanté and Afinia printers, amongst others. EFI’s new 4950LX label press adds to the already comprehensive range of Jetrion presses, which feature Xaar printheads and inline finishing. The new press has double the number of printheads inline enabling higher resolution at 720 x 720 dpi or faster print speed at up to 48 m/min. With full UV LED curing, it can print on heat-sensitive and thermal materials, four colours with optional white. The Jetrion presses are built with complete finishing inline, including laser cutting and optional varnish/ lamination station. The laser is available in either a single 500 Watt or an optional dual-head 1,000 Watt version for higher speeds at wider widths. Colour management comes courtesy of the EFI Fiery XF RIP and for complete integration into the business, the press can be connected to the EFI Radius workflow. Domino’s N610i saw the first demos at Labelexpo 2013. A further development of the N610, it can be configured with four to seven colours and operates at speeds up to 75 m/min in ‘rapid mode’. The optional white employs two printbars and the speed then changes to ‘high quality’, which translates to 50 m/min. The Kyocera printheads are automatically aligned using the company’s i-Tech Stitchlink technology and automated cleaning of the heads ensures maximum productivity. The press can be delivered with inline finishing from AB Graphics or GM, inline inspection and variable printing. The Tau 330 from Durst features a printing speed of up to 48 m/min. It is available is two printing widths, 200 mm and 330 mm, and up to seven colours, CMYK plus optional white, orange and violet. Its single pass UV inkjet printing technology, drop on demand and variable drop size, with Xaar 1001 print heads, produces an apparent resolution of approximately 1,000 dpi. For printing on heat-sensitive substrates, it can be fitted with a chill roller and also comes with corona treatment inline. To expand the applications into food packaging, Durst are introducing low migration inks, developed by SunJet. There is also a new inline finishing system, the Tau LFS 330, for converting in one pass. This is equipped with laser die-cutting technology from Spartanics. Expanding Epson’s press range, the new L-6034VW model comes in two versions, with or without white. It is the first press to use the new PrecisionCore linehead technology and new LED-cured UV ink with inline digital varnish technology, developed by Epson. Printing on standard film and paper label substrates between 80 mm and 340 mm wide, it has a sophisticated system monitoring the printhead nozzles that will identify any blockages and clean them quickly. The new Graphium press builds on FFEI’s Caslon experience and is already selling well. Printing on a wide variety of substrates, including films and metallics, the modular press can also incorporate flexo stations to broaden the applications. Available in two widths, 330 mm and 410 mm, and working at three speeds 25, 35 and 50 m/min, it uses dedicated Fujifilm Uvijet inks in CMYK and white on the digital stations, and up to six on the flexo stations (two before the digital and up to four after). Inline die-cutting and variable data printing are optional. Screen’s new Truepress Jet L350UV is another contender for labels. Incorporating single-pass greyscale piezo printheads with a minimum droplet size of 3 picolitres, it prints at a top speed of 50 m/min in four colours with optional white, at a max print width of 322 mm. Lamination and die-cutting can be added inline for full production. The colour management technology is based on Screen’s Equios workflow system. The DSI UV inkjet system from SPGPrints (formerly Stork) is another modular solution that can either be configured as a standalone label printing system or with inline finishing. Fitted with four printheads as standard, another six can be added to enable printing white, add digital primer and extend the gamut using orange and violet. Widths range from 135 mm to the standard 330 mm and up to 530 mm. It is fitted with servo-driven chill drum on the final UV curing station for printing on heat-sensitive substrates and unsupported films. A cost-effective solution comes from Focus Label Machinery, which offers the d-Flex digital inkjet system that features a digital module from Industrial Inkjet with KM printheads. The servo-driven press prints at speeds up to 50 m/min in four colours plus white and has a single flexo station for printing and varnishing or coating. It is available in three widths and finishing options also include foiling, laminating and die-cutting. For companies that are not ready to invest in large industrial sized machines or want to complement their business with label printing on a smaller scale, there are many excellent solutions on the market. iSys Label has the Edge 850 and the Apex 1290 for short to mid run lengths. The entry level Edge 850 can print at speeds up to 9.14 m/min which translates to some to 2,000 labels in under 20 minutes. The print width range is from 152 mm to 209 mm and print quality is 1,200 x 600 dpi. The Apex 1290 has identical speed and quality performance, but print on a wider range of materials between 76 mm and 320 mm. The system comes equipped with a 305 mm on demand rewinder that is adjustable to match the continuous media output. Productivity is impressive at 28,000 labels in 37 minutes. From Primera comes the CX1200e Color Label Press and the FX1200e Digital Label Finishing System, a solution that represents a complete label manufacturing combination. Printing at speeds up to 16.25 feet per minute (fpm), the press uses dry toner-based inks and boasts a resolution of 1,200 x 1,200 dpi. It features the IntelliTorque tensioning control system which continuously monitors tension across the web and uses this feedback to apply variable torque on the rewind mandrel for tightly wound rolls of labels. Other table top systems include the Afinia L801 printer which uses memjet printheads, and the M1C Labelmaxer from AMS, which prints full process colour with full bleed at the rate of 300 mm per second at 25.4 mm to 216 mm wide with a resolution of 1,600 x 1,600 dpi and is available in roll-to-roll or fan fold. Impression Technology Europe supplies the Rapid X1 and X2 label printers which also uses memjet heads, while Epson has just added the TM-C3500 to its range of colour label printers.